Who are 2019’s Top Financial Advisors in Minneapolis, St. Paul, and Edina (Minnesota)? With today’s unpredictable markets, it’s more important than ever to work with the right wealth manager, investment advisor, or financial planner whether you’re in Minneapolis, St. Paul, Edina, or anywhere else in Minnesota. The end of the year was a rollercoaster ride for stock markets, and 2019 is starting off just as unpredictable, with initially the worse start to the year in nearly a decade, then a few days later, being bolstered by positive job numbers. It’s important that professional advice about financial planning and portfolio management ensures your portfolio is prepared for the uncertainties of the market and is resilient enough to weather them. The diverse range of financial services clients require and the wide variety of financial strategies available have made it increasingly challenging to identify financial planners in Minnesota who will be a perfect fit for your financial goals. It can take hours of research to find the top Minnesota financial advisors when planning your 2019 investments, and not many people have that time. 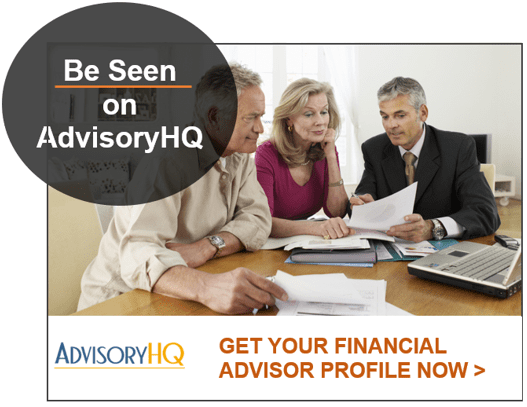 That’s why AdvisoryHQ has done it for you. 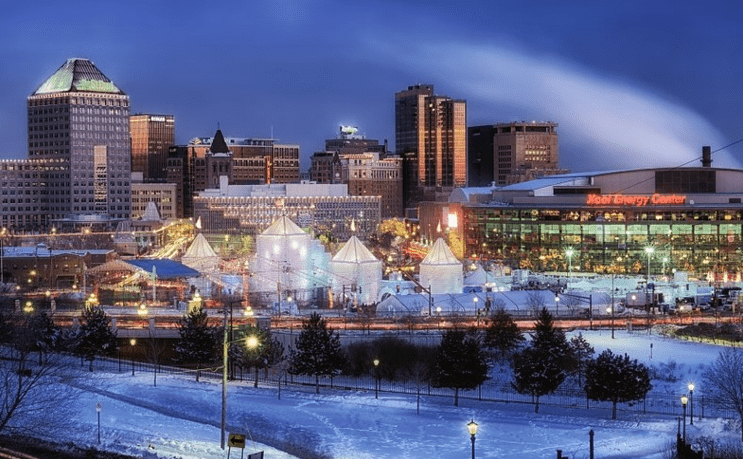 We have provided a review of several of the top financial advisors in and around Minneapolis, MN to help you find the guidance and direction you need to make the best financial decisions this year and beyond. What’s the Difference Between Fee-Based and Fee-Only Financial Planners in Minnesota? A lot of people searching for good financial advisors and wealth management firms in Minnesota aren’t aware of a major difference in how they get paid. Two terms you want to be aware of are: fee-only and fee-based. How do you know which type of Minnesota financial advisor is right for you and which type they are? We’ve prepared a quick overview that will tell you more about the main differences difference between fee-based and fee-only financial advisors. A Minneapolis financial advisor that is “fee-only” does not accept commissions or third-party referral payments. They are only paid by way of the client fee. Why is this a good thing? Because when a financial advisory’s only income source comes from the client, there is less chance of any conflicts of interest that can arise from recommending and selling investment products for a commission. In a nutshell, a fee-only Minnesota wealth management advisor is in a better position to act solely in the interest of their clients. Minnesota financial planning firms that are “fee-based” receive both client fees and also can accept commissions from organizations by selling their financial products. This type of commission option that comes with a fee-based structure can create potential conflicts of interest, but there are multiple fee-based financial investment firms that are also fiduciaries. This means they are legally required to act in the best interest of their client. So, if you’re working with a financial advisor in Minnesota that is fee-based, if they’re also a fiduciary, that’s a good sign. A fiduciary is legally responsible to fully disclose any conflicts of interest and are required to put the interests of their clients ahead of their own. What methodology does AdvisoryHQ use in selecting and finalizing the credit cards, financial products, firms, services and products that are ranked on its various top rated lists? Below, please find the detailed review of each firm on our list of 2019 best wealth management firms in Minneapolis. We have highlighted some of the factors that allowed these Minnesota financial advisors to score so high in our selection ranking. Aurochs Financial Group is a Wayzata, Minnesota wealth management firm. The unique name “Aurochs” comes from large, wild cattle that remind them to always be forthright and strong, yet cautious. This Minneapolis area financial advisor provides fee-only wealth management services for clients with $1 million-$10 million in assets. 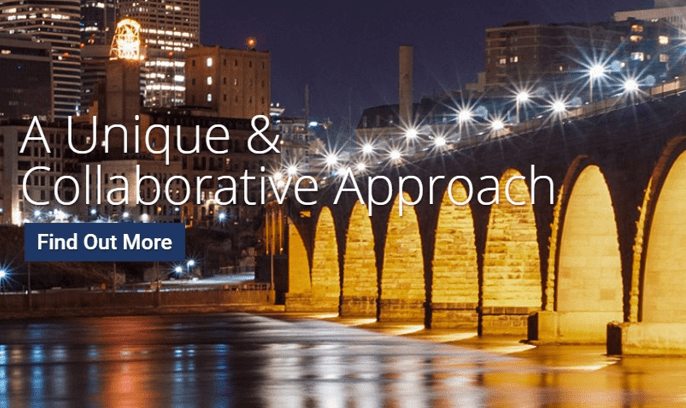 As one of the top Minneapolis, MN financial advisors, Aurochs Financial Group offers clients personalized and sophisticated wealth management, service that is designed to be simple and straightforward and to support long-term investment returns. 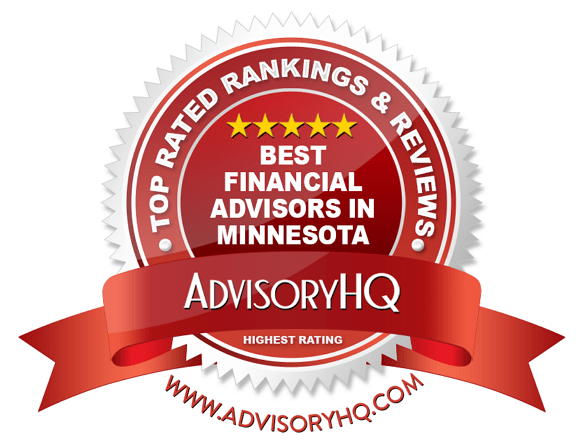 The following factors enabled Aurochs Financial Group to be included on AdvisoryHQ’s 2019 ranking of the top financial advisory firms in Minneapolis. One of the things that makes Aurochs Financial Group stand out among competing wealth management firms in Minneapolis is their laser focus on serving a unique, specific set of clients. This makes them perfect for those within that target group. 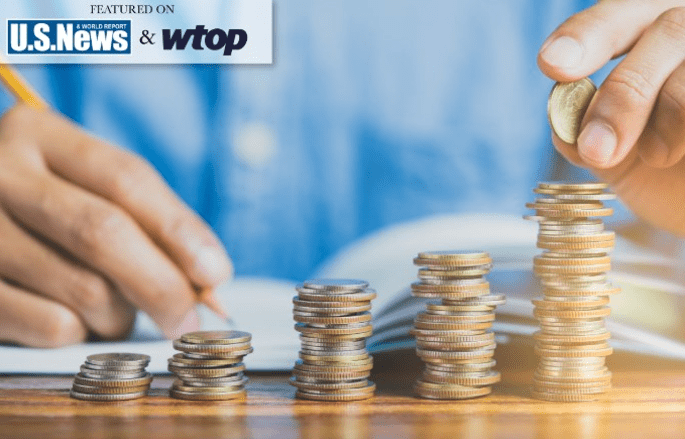 Their specialty is helping successful couples looking for financial independence within 10 years of retirement or in retirement, as well as women in transition, such as through divorce, career change, retirement, inheritance, and widows. Aurochs also provides a handy overview of their ideal client to help those who are potential clients determine whether this Minnesota financial advisor will be a good fit for their specific financial goals. Wondering what your “high-net-worth personality is? They have a unique quiz on their website that will help identify where your financial personality fits and whether your preferences towards wealth and investments match that of Aurochs Financial Group. 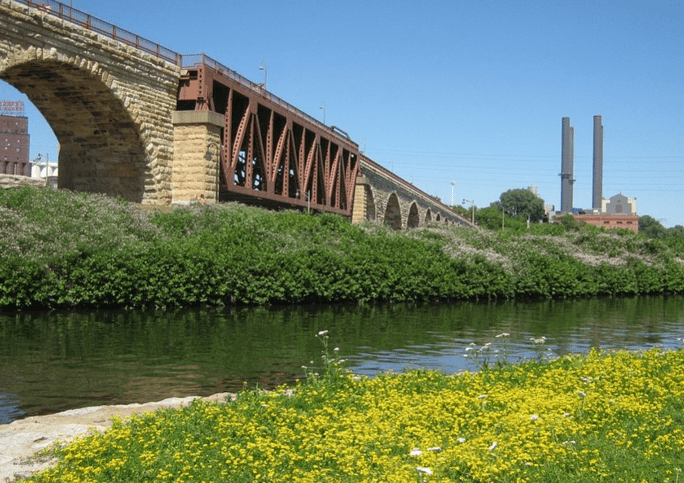 Along with serving a unique set of clients, these Minnesota financial advisors also offer several distinct financial services, detailed below. Aurochs makes it a point to put their clients’ financial interests and investment goals first. They are both a fiduciary and fee-only Minnesota wealth management firm. 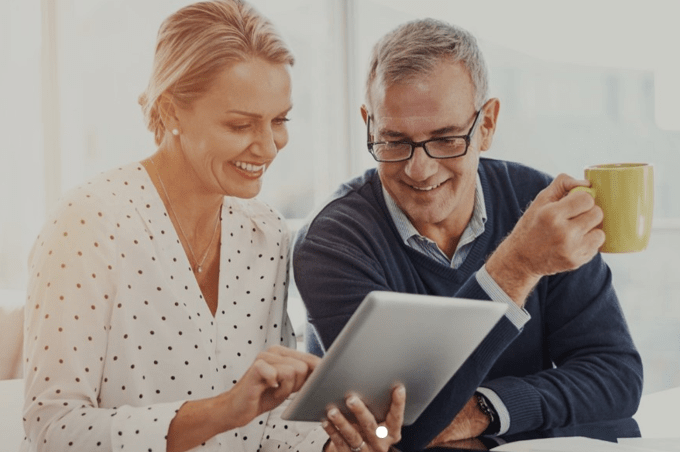 With a keen focus on serving a unique client base, Aurochs Financial Group provides deep value to couples preparing for retirement and women in transition. While the advisory team at Aurochs may not be as large as other Minnesota financial firms, their capabilities are expansive and laser targeted, earning the firm a 5-star rating overall. Aurochs is a NAPFA registered financial advisor, meaning they have gone through a thorough review of credentials, experience and knowledge to be among those on the highest level in the financial planning industry. Located in Edina, a suburb of Minneapolis, is Birchwood Financial Partners. This Minnesota wealth management firm is also fee-only. They help their clients identify how money intersects with their values, goals, family, lifestyle, and meaningful work. As a top Minneapolis wealth management firm, Birchwood has the vision to help clients to improve their quality of life and create a sense of fulfillment and abundance. The following factors earned Birchwood Financial Partners a spot in AHQ’s 2019 ranking of the best wealth management firms in Minneapolis. Birchwood has a diverse team of Minnesota financial advisors, with qualifications including Certified Financial Planner™, Chartered Advisor in Philanthropy®, and Chartered Financial Analyst. Nearly all team members are active in local and professional affiliations. They have also earned various awards and accolades. 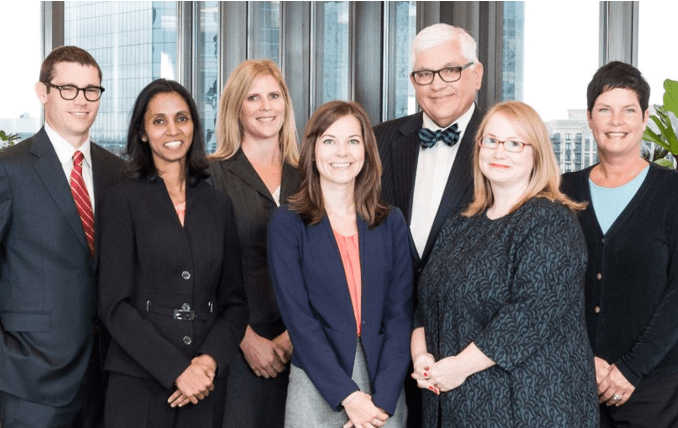 A unique aspect of this Minneapolis wealth management firm is that the majority of their financial advisors and support staff are women, marking a stark contrast against the financial advisory industry as a whole. 9 out of 12 team members are women, with one being co-founder Kay Kramer. Birchwood successfully maintains a commitment to championing a diverse, talented team of Minnesota financial advisors in an industry that is notorious for being less diverse. As a fee-only firm with a talented team, a broad spectrum of services, and a client-first focus, Birchwood Financial Partners has earned a spot among the top-rated financial advisors in Minnesota. Our review found the large portion of female advisors particularly notable as a successful model for global themes of gender diversity in the financial services industry. With a dedication to diversity, a wide range of services, and several accreditations to validate the team’s collective experience, Birchwood receives a 5-star rating as a top Minnesota financial advisor to partner with this year. Cahill Financial Advisors, Inc. was founded in 1980 as a fee-only, fiduciary Minnesota financial advisor located in Edina, MN and serving the Twin Cities metro area. They provide investment services for individuals, families, and small businesses. After spending over three decades in Edina, these Minnesota financial planners consider their clients as neighbors, working to be a trusted partner in helping their clients achieve their financial goals. The following factors scored Cahill Financial Advisors, Inc. a spot in this review of wealth management firms in Minneapolis. Cahill Financial Advisors is a fee-only wealth management firm in Minneapolis. This means that they do not earn commissions, referral fees, or incentives for the sale of any products. Asset management is one of the most vital parts of financial planning, ensuring that you can meet lifestyle, education, retirement, and philanthropic goals. Potential clients that are interested in learning more about these Minneapolis wealth management services can come in for a complimentary initial meeting. Cahill Investment Advisors check all the boxes for a top wealth management firm in Minneapolis. They have a client-centric philosophy, a fee-only structure, and a fiduciary commitment to always act in their clients’ best interests. Additionally, clients can also benefit from their diverse and talented team of financial advisors whose high-quality service and expertise coupled with professional designations and experience help to solidify Cahill’s 5-star rating. 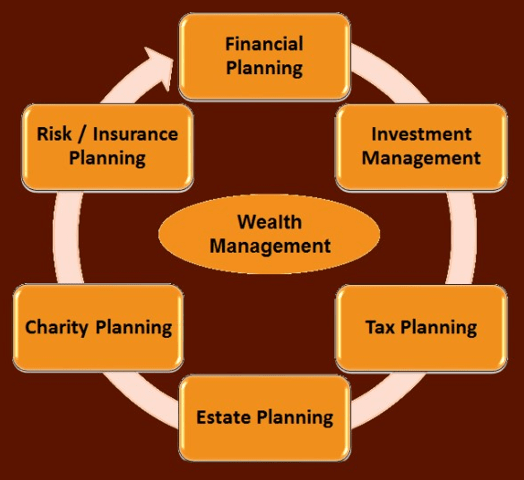 FFP Wealth Management is a Minneapolis financial advisory firm that offers a vast array of services. In addition to providing everything from investing to will preparation, this Minneapolis wealth management firm offers magazine-style flipbooks that provide helpful details on multiple financial topics. As a Registered Investment Advisor and a member of the Fee-Only Network, FFP Wealth Management is a fee-only financial planner in Minnesota that is completely transparent and discloses fees prior to engagement. The following factors enabled FFP Wealth Management to be included on AdvisoryHQ’s 2019 ranking of best wealth management firms in Minneapolis. Without proper planning and knowledge from a Minneapolis financial advisor of new changes to income tax due to the Trump Administration tax plan in 2019, you could be hit with serious tax implications in the future. One way the team at FFP Wealth Management helps clients is by providing a proprietary tool known as the Tax Super SheetTM. Should major purchases be financed or paid in cash? When is the right time to refinance a mortgage? How can I pay for my child’s tuition while also saving for retirement? What is the most probable tax rate at retirement? Are tax-free bonds really beneficial? Do tax referrals save or cost me money? How can I limit potential errors made by my heirs that could put most of their inheritance in the hands of the IRS? FFP is a wealth management firm in Minneapolis that recognizes that most Americans are looking for standardized, cookie-cutter financial advice. But each person’s financial planning needs are as unique as they are. Every financial situation is different, which means that each course of action will be equally as different. Should I keep my 401(k) or move my funds to an IRA? What are the new rules for advisory firms that manage retirement plans? As one of the best financial advisors in Minneapolis, FFP Wealth Management provides a broad array of services along with helpful financial information in an easy-to-digest format, making it easy for potential clients to evaluate whether FFP is right for them. This Minneapolis financial advisor excels at offering expert financial services and specially designed tools to keep clients organized, focused, and positioned for success, earning FFP Wealth Management a 5-star rating overall. Flourish Wealth Management is an Edina-based boutique wealth management firm in Edina, Minnesota with financial advisors that have over 20-years of industry experience. The firm’s primary objective is to provide a holistic planning environment, where advisors use hands-on expertise focused on the best interests of each and every client. Operating as a registered investment advisory firm for clients in Minneapolis and nearby suburbs, Flourish Wealth Management offers wealth management and investment advisory services to individuals and families and women. The following characteristics earned Flourish Wealth Management the opportunity to be ranked as one of the top Minneapolis financial advisory firms on our 2019 ranking. 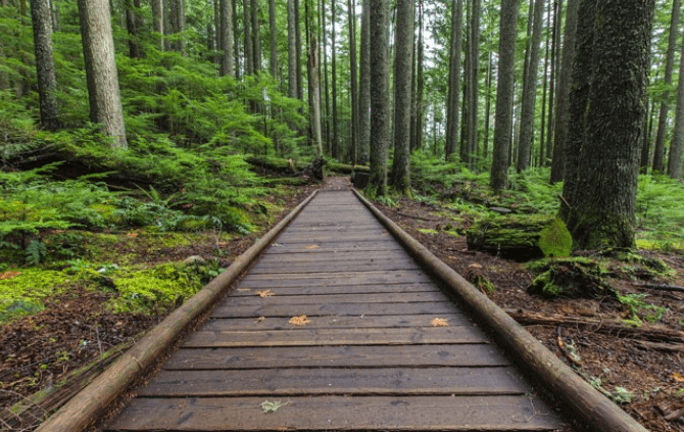 Often unexpected challenges can happen in life, which makes it important to be working with a Minneapolis financial advisor that takes risks into consideration. Flourish reviews all aspects of risk to help keep clients covered in the case of unforeseen life events. Reviewing existing insurance coverage is part of their risk management process for financial management. They do not accept any commissions or referral fees for any of the financial products they offer and work with independent insurance brokers to purchase the right insurance to meet a client’s individual needs. As one of the best financial planners in Minneapolis, Flourish Wealth Management offers a specific set of investment and wealth management and advisory services that are designed for the needs of female clients. From women in transition (separations, divorce, loss of a loved one), to female executives and independent business owners, Flourish Wealth Management has engineered its advisory capabilities to address a variety of the financial needs of women. Flourish Wealth Management is an excellent resource for clients that prefer a boutique, strategic, and personalized approach to financial planning and wealth management. One reason these financial advisors in Minnesota are particularly compelling is their focus on providing women’s wealth management services, acknowledging that wealthy and professional women have entirely individual financial concerns and challenges. With over two decades of experience, Flourish Wealth Management brings a wealth of industry experience and a refreshing approach to financial planning, earning the firm a full 5-star rating among the best financial advisors in Minneapolis. Located in St. Paul-Minneapolis, Pitzl Financial is a wealth manager and financial advisor in Minnesota that says, “It’s not about us. It’s about you.” They believe in blending objective planning with management discipline to help clients achieve financial success by preserving, protecting, and enhancing their wealth through various stages of their lives. While operating as an independent wealth advisory firm, Pitzl Financial is part of the BAM Alliance, a network of like-minded, independent advisors that are dedicated to building relationships by “doing the right thing” and who collectively manage over $35 billion in client assets. The following key considerations earned Pitzl Financial a place on our 2019 ranking of the top wealth management firms in Minnesota. As a fee-only investment manager and financial planner, the company is fully transparent and accountable to its clients for fees charged to them. Pitzl Financial does not sell any products, nor does it receive any referral fees from other professionals. As a top-rated financial advisory firm, Pitzl Financial acts as a fiduciary for its clients, putting their best interest above all else. This means the advice provided by the firm and its team of advisors is without any conflict of interest or personal gain by any other parties. For potential clients, these commitments provide a compelling advantage, as they help increase transparency and demonstrate the core values and principles upon which Pitzl Financial bases their financial services. As one of the best financial advisors in Minneapolis, Minnesota, Pitzl Financial believes that achieving life-long goals should be the key focus of financial decision-making. They also have a unique, corporate board-like approach to governing and managing their clients’ wealth through Your Personal Boardroom™, empowering clients to come to their own CEOs or Chairpersons and learn how to make the best decisions for reaching life-goals. Their strong focus on developing the client-advisor relationship, always putting the client first, and empowering clients to better control their finances, Pitzl Financial earns a 5-star rating among the best Minnesota financial advisors. PrairieView Partners is a top-rated financial advisor in St. Paul, MN founded in 2007. Their target market is individuals with a net worth between $2 million and $15 million. As one of the best wealth management firms in Minnesota, the company’s service delivery revolves around core values of Competence, Objectivity, and Integrity. Their philosophy guides each of the firm’s interactions with its clients. The following factors were key in our decision to include PrairieView Partners as one of the best wealth management firms in Minnesota for 2019. All financial recommendations and advice provided are solely in the interest of the client, with no conflict of interest. PrairieView Partners is legally and professionally bound to act as fiduciaries to its clients. This financial management firm in Minnesota is fee-only, meaning that they do not receive any fees or commissions for selling investments or insurance products. Their fees are based on a percentage of the value of the portfolio being managed, with a minimum annual fee agreed upon based on the level of service needed. Unlike some of the other financial advisors in the St. Paul and Minneapolis area, PrairieView’s business model is based on an integrated approach to financial planning and every client is assigned a team of experienced professionals. As a Registered Investment Advisor, PrairieView Partners is regulated by the SEC and is required to provide a higher standard of service than non-RIA firms. With a fiduciary commitment, a fee-only pricing structure, and a wide array of expert financial services, PrairieView Partners is one of the top-rated financial advisors in Minnesota to consider partnering with this year. 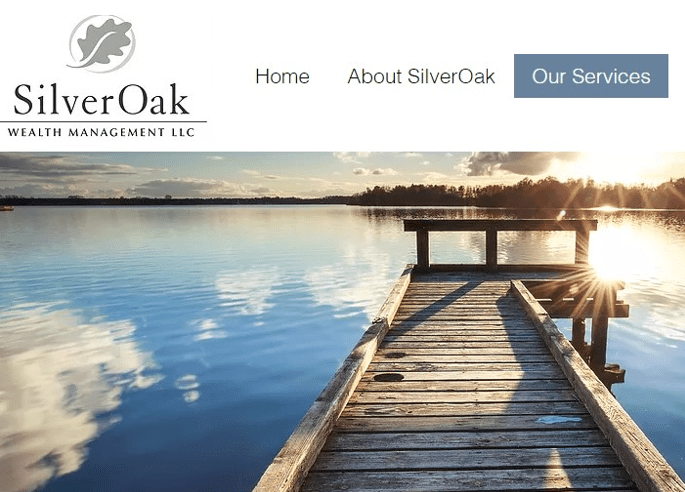 Independent, boutique wealth manager, SilverOak Wealth Management is a fee-only financial advisor in the Minneapolis/St. Paul area. Based in Edina, MN, their goal is to help clients successfully achieve their business, financial, and personal goals. Working with an extremely qualified, experienced, and multi-disciplinary team, SilverOak brings over 50 years of combined financial experience to every client engagement. The following key factors earned SilverOak Wealth Management LLC a spot on AdvisoryHQ’s 2019 list of the top wealth management firms in the Minneapolis area. SilverOak Wealth Management is a fee-only wealth manager and financial planner in Minneapolis. The firm operates independent of any other service providers and does not sell any third-party product or service to its clients to earn commission. As an RIA, SilverOak and its advisory team are legally and professionally required to offer advice to their clients that is free of any conflict of interest. This means that all advice provided by this Minneapolis wealth management firm must always put their clients’ best interest before anything else. This fiduciary responsibility fosters greater trust in the advisor-client relationship. As one of the best financial advisors in Minnesota, SilverOak has received numerous awards and recognition from leading financial publications, including CNBC, Wealth Manager, Five Star, Financial Advisor (FA) and the Minneapolis/St. Paul Business Journal. Individual advisors on the SilverOak team have proved their credentials as top wealth managers in Minneapolis by being awarded the coveted Five Star Professional award multiple times, from 2012 to 2015 consecutively. As a top wealth management firm in Minneapolis, MN, SilverOak works to align current opportunities with the endless possibilities of tomorrow. With a fee-only pricing structure and a score of industry recognition, SilverOak is a strong and dynamic option for anyone looking for financial advisement in Minneapolis. SilverOak Wealth Management moved up in our rankings of the best financial advisors in Minneapolis this year from 3 to a perfect 5-star rating due to the major update to their website, which makes it much more user-friendly and easy for potential clients to navigate their excellent wealth management services. A new addition to our Top Financial Advisors in Minneapolis, MN list is Vector Wealth Management. After merging with SNS Financial Group in 2017, they’ve bolstered their ability to provide a deeper range of wealth management services. The firm’s philosophy is to be completely free of any conflicts of interest. Vector Wealth Management is a fiduciary fee-only financial manager in Minnesota serving individuals and couples, retirees, business owners, real estate investors, those seeking help to manage an inheritance, and others looking for financial guidance for their future. See below for an overview of the core factors that helped Vector Wealth Management earn a spot as one of 2019’s top wealth management firms in Minneapolis, Minnesota. Vector developed proprietary software called SOJOURN™, designed to achieve their primary purpose of providing unique value to their clients. The application creates a custom investment policy based upon a client’s unique goals. Because this top-rated wealth management firm in Minneapolis uses goals-based investing, the ability for assets to support their clients’ income in their allotted timeframe has a much high probability for the returns that clients are looking for. Vector constructs client portfolios using a disciplined and scientific approach to investing. They combine resources from both their own internal research and third-party research to craft long-term strategy-based policies and shorter-term tactical policies that make the most of market cycles. Vector Wealth Management’s philosophy of transparency and their proprietary software for custom built investment policies makes them a top choice as a wealth planning partner in Minneapolis, MN. Their strategic approach, which incorporates their software sets them apart from the competition and makes them uniquely attractive to investors looking to mitigate risk and have all the bases covered when it comes to investment decisions. Their strong team of experienced advisors, as well as industry recognition as a top Minneapolis financial advisor, have earned Vector a 5-star rating on our 2019 ranking. White Oaks Wealth Advisors, Inc., is an independent financial advisor in Minneapolis, with an additional location in Longboat Key, Florida. The firm was founded by financial industry veteran Robert Klosterman, CFP®. They serve clients across the country in over 60 U.S. cities. As a fee-only Minneapolis financial advisor, White Oaks Wealth Advisors focuses on delivering high-quality financial planning and wealth management services to business executives, multi-generational wealth, professionals, those making life transitions. See below for a few of the key factors that helped White Oaks Wealth earn a spot as one of 2019’s top wealth management firms in Minneapolis. As a top-ranked Minneapolis wealth management firm, White Oaks tailors its wide range of services to ultra-high net worth families and high net worth individuals. Non-investment services can be priced hourly, by project, or with a retainer, allowing a wide range of flexibility. Recognition as one of the top 150 Financial Advisors by Mutual Fund magazine, Medical Economics, and Bloomberg’s Wealth Manager magazine. As a Minneapolis wealth manager whose views and opinions are well regarded in the industry, Mr. Klosterman and CEO Sharon Bloodworth are frequently quoted and published in mainstream financial media, including Forbes, CFP Today, The New York Times, USA Today, Minneapolis Star Tribune, Barron’s and Fortune. Like its predecessor firm, R.J. Klosterman & Co, Inc., White Oaks has a laser focused on providing clients independent, expert financial planning and wealth management advisory services, targeted toward high net worth individuals and families. Many new clients join White Oaks through referrals from existing clients and other industry professionals, validating the company’s standing as one of the best wealth managers in Minneapolis. Their 5-star rating is also underscored by the fact they serve clients across the country in addition to Minnesota and Florida. Financial Designs has over two decades of experience as a fee-only Minneapolis, Minnesota top financial advisor. Rather than starting off by asking how much you have, they ask who you are, taking a uniquely different approach to financial planning. Through a range of proprietary services and industry credentials, Financial Designs empowers their clients with more confidence, more money, and ultimately, more time to enjoy their life. The following characteristics earned Financial Designs a spot on our 2019 ranking of the top Minneapolis financial advisory firms. Wealth management services are consistently evolving and changing, adapting more holistic views on the financial planning process to accommodate each unique life event and lifestyle. This has caused innovative top financial planners in Minneapolis to seek new certifications and designations to better serve their clients. In 2016, founder Laurie Laner became the first Minneapolis financial advisor to become a Certified Financial Transitionist (CeFT™), marking an important industry shift towards a more life-oriented wealth management and planning process. The CeFT™ designation represents cutting-edge research from neuroscience, physiology, sociology, and psychology to better assist clients with common, yet impactful life transitions. Although women have been historically under-represented in the financial management industry, Financial Designs is proof that the tides are changing. 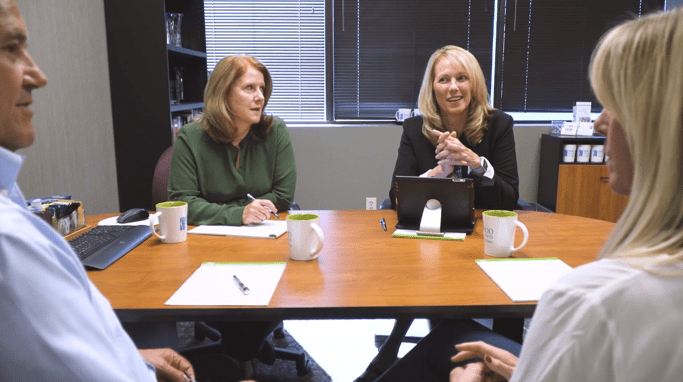 This top Minneapolis financial advisory firm is entirely woman-owned and operated under the management of founder and president Laurie Laner, supported by vice president Judy Bills. Both women have decades of financial planning experience, significant industry ties, and community involvement. As a top Minnesota financial advisor, Financial Designs provides clients with lifestyle-based, comprehensive services built to not only address basic financial decisions, but also the psychology behind each financial goal and motivation. While the firm is certainly ahead of the industry in terms of successful female leadership, qualifications, fee transparency, and a holistic approach to wealth management, Financial Designs could benefit from proving more in-depth information on its website, such as providing case studies or specific examples of each service in action. Without this information, potential clients may find it difficult to fully evaluate their Minneapolis wealth management services and capabilities, earning the firm a 3-star rating overall. The above list of investment advisors, wealth managers, and financial planners in Minneapolis, St. Paul, Edina, and other cities within Minnesota is designed to highlight some of the top financial planning partners. 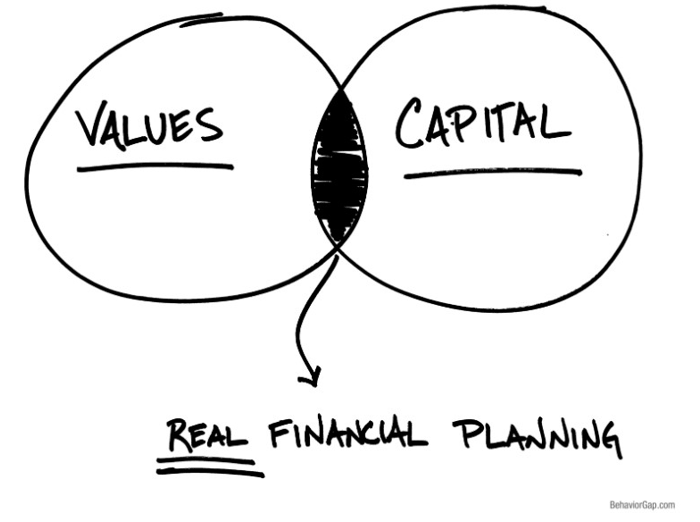 Each person’s investment or financial needs and goals will be unique to their financial situation, life stage, and goals for the future. So, your idea of the best Minnesota financial advisor could differ greatly from that of someone else you know. Whatever stage of life you’re at, just starting a nest egg, beginning a new business, or planning for a comfortable retirement, the resources offered here provide a great start in your search for the perfect financial advisor in Minneapolis that can meet, and even exceed your financial planning goals.